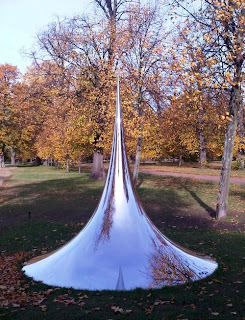 I came across a unexpected surprise this weekend whilst taking a sunlit walk around Kensington Gardens after a spot of shopping on the nearby highstreet(only place I can bear to go on a Saturday). 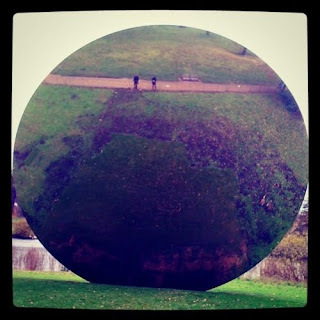 The Royal Parks and the Serpentine Gallery have put on a large exhibition of outdoor scultptures by acclaimed London-based artist Anish Kapoor. The free exhibition showcases some stunning recent works never seen before in London. The first one we came across was Sky Mirror (2006) – a stainless steel, huge circular reflective sculpture. 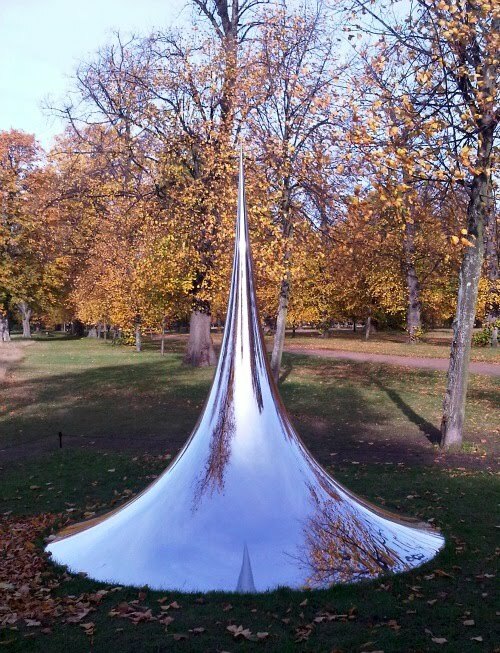 Placed in front of The Longwater (near Lancaster Gate tube), the mirrored sculpture produces a dwarfed reflection of yourself and other visitors – similar to his works at the Royal Academy exhibition but on a maximised scale and the natural setting adding an entirely new perspective. 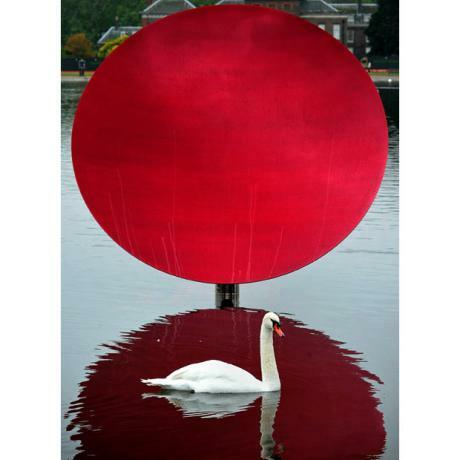 The rest of the sculptures follow a similar large scale highly reflective, curved mirror surface format – creating illusionary distortions of the much loved surroundings, contrasting and reflecting the ever changing colours and wildlife of Kensington Gardens.